Is Oracle Corporation (NYSE:ORCL) a healthy stock for your portfolio? Money managers are in a bullish mood. The number of bullish hedge fund bets improved by 5 lately. Our calculations also showed that ORCL isn’t among the 30 most popular stocks among hedge funds. We’re going to take a glance at the key hedge fund action regarding Oracle Corporation (NYSE:ORCL). 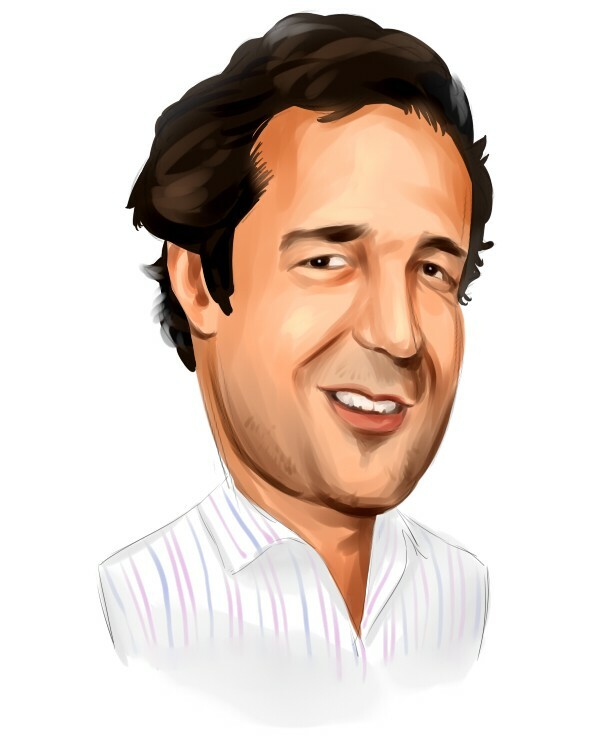 Heading into the first quarter of 2019, a total of 54 of the hedge funds tracked by Insider Monkey were bullish on this stock, a change of 10% from the previous quarter. 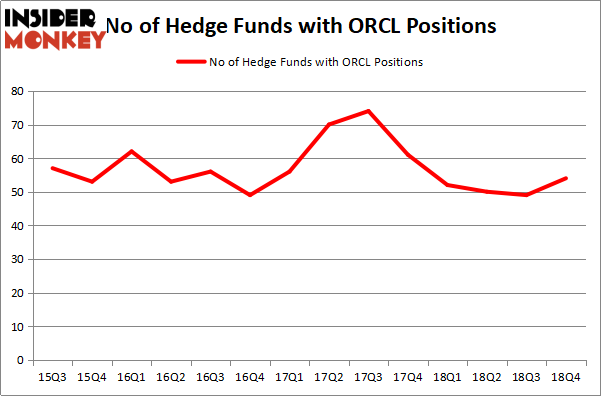 The graph below displays the number of hedge funds with bullish position in ORCL over the last 14 quarters. So, let’s find out which hedge funds were among the top holders of the stock and which hedge funds were making big moves. As aggregate interest increased, some big names have been driving this bullishness. Arrowstreet Capital, managed by Peter Rathjens, Bruce Clarke and John Campbell, initiated the biggest position in Oracle Corporation (NYSE:ORCL). Arrowstreet Capital had $214.5 million invested in the company at the end of the quarter. Robert Pohly’s Samlyn Capital also made a $26 million investment in the stock during the quarter. The other funds with brand new ORCL positions are Robert Joseph Caruso’s Select Equity Group, Steve Cohen’s Point72 Asset Management, and Matthew Tewksbury’s Stevens Capital Management. Let’s check out hedge fund activity in other stocks similar to Oracle Corporation (NYSE:ORCL). These stocks are PepsiCo, Inc. (NASDAQ:PEP), Comcast Corporation (NASDAQ:CMCSA), Unilever plc (NYSE:UL), and AbbVie Inc (NYSE:ABBV). This group of stocks’ market valuations are similar to ORCL’s market valuation. As you can see these stocks had an average of 48.75 hedge funds with bullish positions and the average amount invested in these stocks was $3360 million. That figure was $5763 million in ORCL’s case. Comcast Corporation (NASDAQ:CMCSA) is the most popular stock in this table. On the other hand Unilever plc (NYSE:UL) is the least popular one with only 13 bullish hedge fund positions. Oracle Corporation (NYSE:ORCL) is not the most popular stock in this group but hedge fund interest is still above average and has been increasing recently. Our calculations showed that top 15 most popular stocks among hedge funds returned 19.7% through March 15th and outperformed the S&P 500 ETF (SPY) by 6.6 percentage points. Hedge funds were also right about betting on Oracle as the stock returned 17.7% and outperformed the market as well.